Sunil Bharti Mittal led telco, Bharti Airtel has shown distaste for participating in any early spectrum sale of 5G airwaves citing that there is not the right kind of ecosystem present in India currently to support 5G. Bharti Airtel’s leadership spoke in an analyst meet and clarified its stance on the 5G spectrum auction saying that the technology is three to four years away and it would not be in the company’s best interest to invest in very expensive 5G airwaves without the presence of potential use-cases and devices ecosystem. Morgan Stanley, the Investment Bank firm, also said that Airtel is resting its focus on winning the 4G game right now, despite Reliance Jio’s mammoth entry into the market. The firm also noted that this move is going to be in favour of Bharti Airtel since it has got its investors’ backing, thus ensuring the availability of funds if it wants to take on the competition. In a note seen by ET, issued by ICICI Securities, it was seen that Airtel has spoken about its position on the 5G auction and has clarified that it wouldn’t be part of the sale given its current lack of appetite for more spectrum. However, the telco would probably consider buying the spectrum in future when there is a prevalent ecosystem to sustain the technology along with enough use-cases. The brokerage firm, BNP Paribas also said that Airtel feels, the telecom industry which is laden with Rs 7 lakh crore of debt is not ready for the 5G spectrum auction, which is the reason why the sale is not likely to happen anytime soon. The firm also spoke for Airtel remarking that the use cases for 5G like driverless cars and others can only be manifested in the far future, thus making them irrelevant as per the current scenario. Also, there hasn’t been any solid hints from the government as to when the auction for airwaves might be held. However, telecom secretary Aruna Sundararajan has said that a 5G spectrum sale is somewhat possible in the second half of 2019. DoT officials, on the other hand, have expressed that an auction in 2019 is somewhat unlikely given that industry remains buried under massive debt. It seems that Bharti Airtel and Reliance Jio are polar in regards to this issue since Reliance Jio has publicly agreed with the starting prices for the 5G airwaves suggested by the telecom regulator. However, Airtel has asked that the auction date be pushed back and has also objected to the asking price for the airwaves. On the other hand, Bharti Airtel is pursuing the sale of 4G airwaves only in the FY 2019. Going by what analysts say, Airtel plans to dominate the 4G field in the coming months through content partnerships and faster LTE upgrades to lure in quality customers. Deutsche Bank also announced that Airtel’s statement that “it would raise capital from long-term partners if it deems necessary to maintain its competitive position (in the 4G space) is a signal to Jio that capital is off the table as a competitive lever,” given that Jio has “leveraged its parent (Reliance Industries’) cash flows to maintain an aggressive stance”. 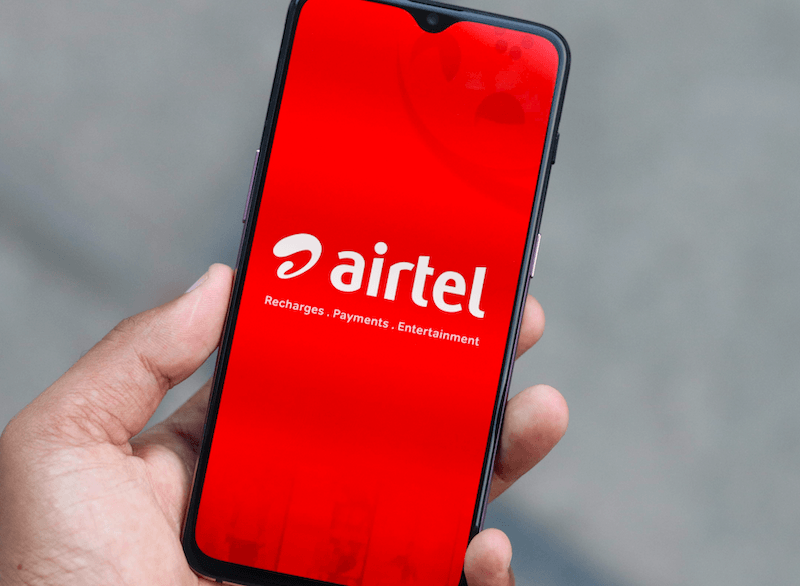 As part of its future strategy, Bharti Airtel has decided to use its premium airwaves in the 900MHz spectrum to be put up for 4G LTE network, as opposed to 2G network, for which it is being used right now. In the next phase of this transition, the telco will use its 3G spectrum of 2,100MHz airwaves for 4G network thus making a full transition to LTE. These moves by Bharti Airtel come as the result of an intense tariff war with the latest telecom entrant Reliance Jio. Also, Airtel has been faced with the problem of widening losses as depicted in the quarterly report of September, along with the issue of high costs. Airtel is not vodafone or idea that it will get doomed. There finances hv been strong no matter how much is the debt. Just like Jio. If airtel were not strong then they would hv closed there network by now. Airtel not in position to buy much spectrum. At the most they will try to buy 10Mhz of band 40 some 5Mhz of band 1 spectrum and whatever there is no band 8 LTE they will but 700Mhz spectrum. It’s interesting to see what happens to spectrum of Aircel. Also BSNL band 3/5/41 spectrum lying which will/should be put in auction. No 4G spectrum should be left unsold this time around. Enough of low speeds on Jio. Looks like Vodafone-Idea is affected by internal fights. I don’t know how they are going to expand network at faster pace. They are loosing on every front. Mostimportantly time is what thet don’t have. Airtel shld expand 4G CA n MiMo pan india and focus on buying idea vodafone before 5G. Vodafone Idea Ltd will be bankrupt by 2021, we will left with Jio and Airtel only, BSNL is useless, same will happen with broadband,Jio will buy all small fiber isps, Airtel broadband expansion plans still not clear. Mani, mtnl will b merged into bsnl but bsnl will exist. Lets c, whatever happen it shld b good for us consumers. Affordability hav been achieved now gud speed n gud service they shld focus will buying more spectrum in form of buy outs or auctions.